They look shimmery on the pan but hardly noticeable when applied (see swatches). Both have silver shimmers, but Angelika's texture is much finer than TFS. Angelika - really pigmented; i only have to TAP my brush once or twice for it to show up on my NC20 skintone. I adore NARS blushes coz of its staying power, they last for more than 6 hours on me. They look similar in their respective pans but once applied PK103 looks cooler & less shimmery than Angelika. If you're looking for an inexpensive cool toned pink blush, I highly recommend PK103. 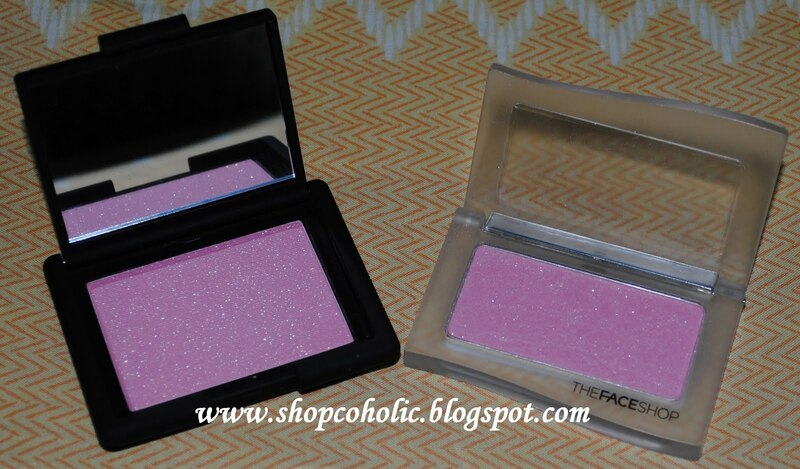 Re: TFS blush, I find the shades really pretty but what puts me off from purchasing are the bigger chunks of shimmers! But this is definitely a nice dupe! I think NARS color is actually prettier. wow nice dupes!!! unfortunately Face Shop pulled out from HK years ago :(! 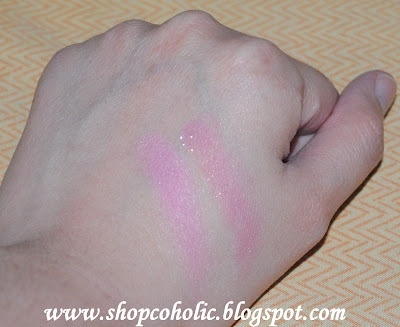 It's great to know theres a good dupe for nars angelika. Both shades are pretty! great job on the comparison, khymm! isn't pk103 chalky? the swatches on your hand is a clear proof of how NARS blushes are so pigmented! Angelika's shimmers are so visible. i'd bet you swatched sparingly, too.